As the eastern end of the Silk Road, Xi’an has been welcoming ambassadors, merchants and other visitors for centuries. 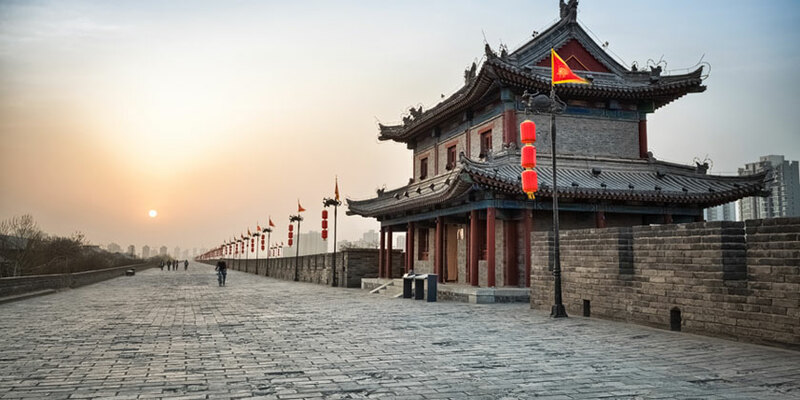 Once home to emperors and courtesans as China’s former capital, the city’s royal past can still be visited within the city’s Ming-era walls at the Tomb of Emperor Jingdi and the famous Terracotta Warriors. Other highlights of this ancient melting-pot include museums, pagoda’s and the iconic Bell Tower of Xi’an. Take advantage of great flights with United Airlines® to start an unforgettable Xi-an adventure with United Vacations®. Join this relaxing biking day excursion to explore the ancient city of Xian. This biking tour provides you the chance for getting close to the Buddhist constructions and experiencing the religious cultures. Enjoy this half-day bike tour which will give you a chance to explore Xian in a unique way. ExperienceMount Huashan, one of the Five Great Mountains in China, known for its precipice and religious significance. The Tang Dynasty Music and Dance Show originated in China's Tang Dynasty over a thousand years ago and is one of the most popular entertainment excursions. Resort info: Combines contemporary design and Tang Dynasty artwork and is just a short walk from a wealth of major cultural and entertainment attractions. Resort info: Located in between the High Tech Zone (Gaoxin) and the City Wall including accessibility to interesting historical sites in Xi'an. Resort info: Conveniently located at South 2nd Ring Road and 40 kms from Xian Xianyang Airport, we are close to Changan University and Xiaozhai shopping district. Resort info: A soaring 24-storey skyscraper in gleaming glass and metal, our hotel is just 30 minutes' drive from Xianyang International Airport.